Hey everyone! I hope you had a great holiday weekend! We are still recovering from the post Christmas frenzy here but I am slowly but surely getting our house back in order. I wanted to share with you a few projects I created awhile ago using some of my Basic Grey goodies. I used the Little Black Dress collection for these projects. It's a gorgeous monochromatic collection that is really so elegant yet really versatile. 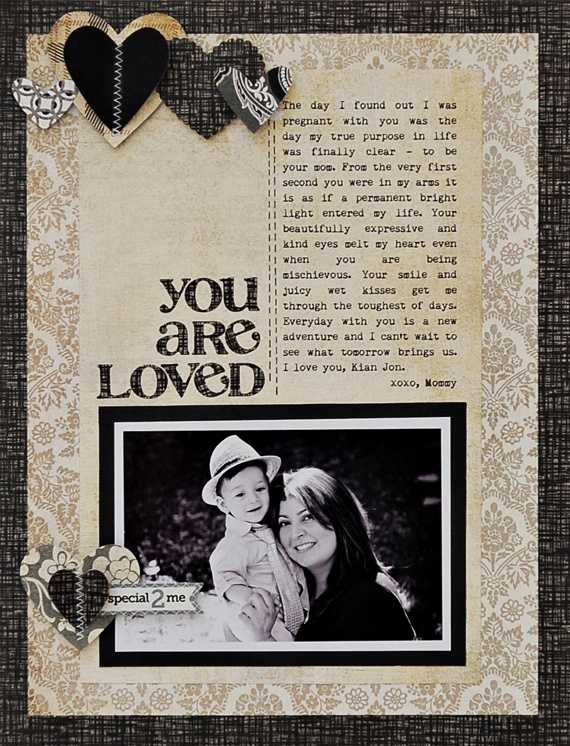 For this first layout I wanted to scrapbook a sweet photo of my sister in law Fateme and her son Kian. I asked my sister in law to write some journaling for the layout which I printed directly onto a sheet of patterned paper from the collection. 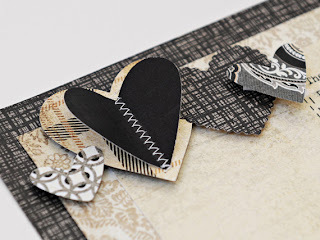 I punched out lots of different sized hearts and adhered them with dimensional adhesive at the top of my layout. I added some zig zag stitching down the center of one of the hearts that I had layered with another larger one. 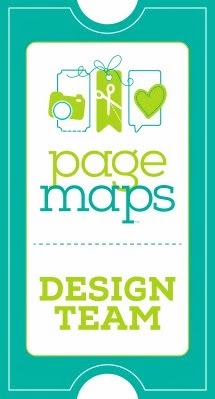 This is one of my favorite things to do and you'll see me do it often on my projects. 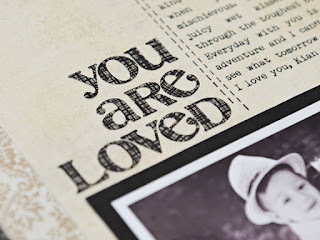 The letter stickers in this collection are just fabulous - they have a subtle weave pattern to them and this is by far my favorite Basic Grey font for stickers. I also created two cards with this collection. 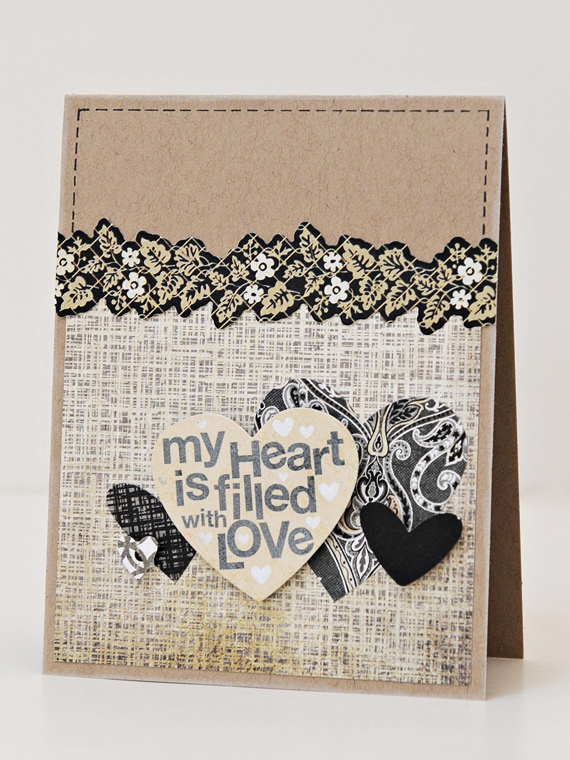 This first card is based on a sketch by the amazing Becky Fleck. I loved the idea of using various strips of paper to create a pattern on my card front. The 6x6 Paper Pad is perfect for a project such as this. 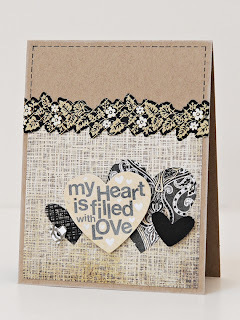 For my second card I punched and layered several hearts similar to my layout above. 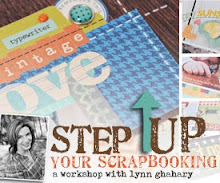 This time I used a sentiment sticker from the 6x12 Title Stickers as the main focus of my card. What a beautiful page and cards!! I love this collection.. another must-have from BG. I hope you and your family had a wonderful Christmas!! 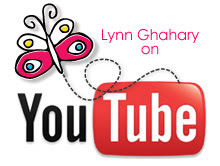 Happy New Year, Lynn! these are so sophisicated and lovely! I hope you are doing well!